« March & Infinova – a perfect union? The integrated security solution works using the Samsung SRD series DVR’s together with the SAMS software enabling visual verification of access into secure or sensitive restricted areas. The SAMS software can automatically search for any SRD series DVR’s on the LAN and once a SRD DVR is added then cameras can be added using the graphical map giving a clear overview of the site in its entirety. Any event that causes an alarm condition can automatically be flagged to an operator together with a record of that event and its associated camera image. It is also possible to easily view retrospective events from the event list by a simple click and play option. 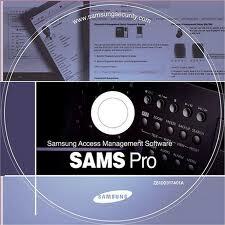 SAMS integrated security software is available in BASIC and PRO versions. The PRO version allowing the video integration.The software has the capability of handling up to 128,000 readers so linking video with access control has never been easier. This entry was posted on Sunday, January 1st, 2012 at 00:01	and is filed under Integration. You can follow any responses to this entry through the RSS 2.0 feed. Both comments and pings are currently closed.